If you’re going to have a smile makeover, how do you know you’ll like the result? A lot of Dr. Arnold’s work involves re-doing the cosmetic dentistry of other dentists. What happens is that the patient may dream of a sparkling Hollywood smile and ask their family dentist for a smile makeover. But when it’s done they’re disappointed in the result. Then they learn that there’s really nothing they can do about it except to pay another dentist to re-do it. Legally, a dentist has met his or her obligation to a patient if the work is functional and has a basic acceptability in appearance. One way you can be assured that this will never happen in Dr. Arnold’s office is that he has a beautiful smile guarantee, which we will explain below. Meanwhile, here is a sample of a case where Dr. Arnold had to re-do another dentist’s work. Tonya had a smile makeover with dental bonding that another dentist had done, but she wasn’t happy with how it turned out. 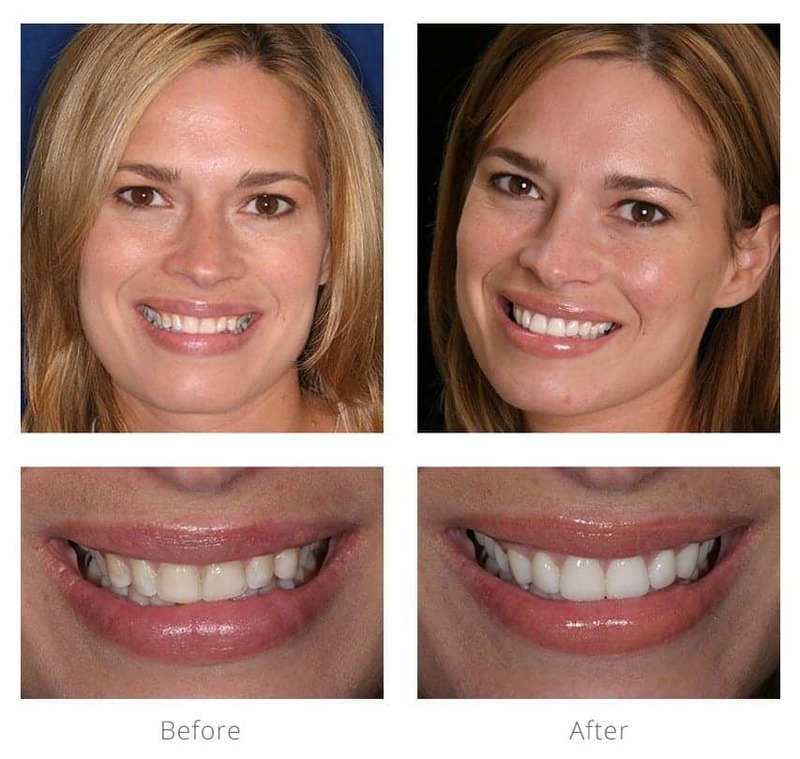 Dr. Arnold re-did her smile makeover using ten porcelain veneers. But notice one detail about these before-and-after photographs. Notice how strained Tonya’s smile is in the “before” picture, compared to her relaxed and confident smile in the “after” picture. She was clearly unhappy with her smile makeover from the other dentist, but he or she didn’t fix it. This will never happen in our office. Let’s explain our guarantee. 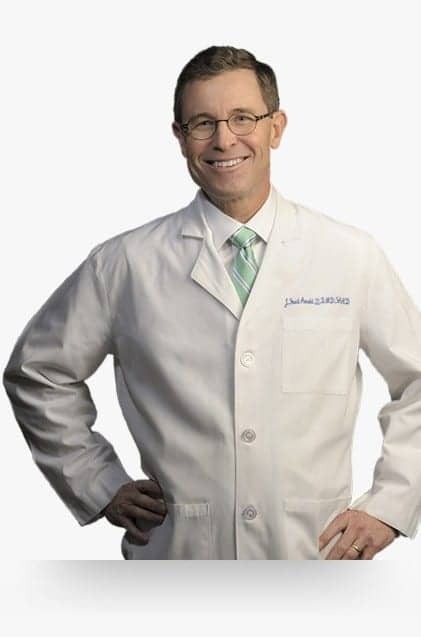 Before we do anything, Dr. Arnold will discuss with you your expectations for your smile and he will make recommendations, based on his artistic talent and experience. After you and he have settled on a smile design, he will have his laboratory technician, Michael Morris, create that smile design in wax on a model of your teeth. If the wax-up looks good, it will be made into a set of provisional veneers for you to wear for a period of time. These provisionals will be tweaked until they fully meet all your expectations. We will then take photographs and impressions of the final design so that we can accurately replicate its appearance in porcelain. After all of this, you’re certain to love the final result. But in case you don’t, there is one final step. After Mr. Morris has created the porcelain work, it will be tried in with a try-in paste so you will get a full look at the final result. If you don’t love how it looks, it won’t be bonded to your teeth. It will be sent back to Mr. Morris for adjustment, or for completely re-making, if that is necessary. It won’t be permanently bonded until you love how it looks. That’s Dr. Arnold’s beautiful smile guarantee. If you’re ready to get the smile of your dreams, you may call our office to schedule an appointment. If you prefer, you may click here to request an appointment online.